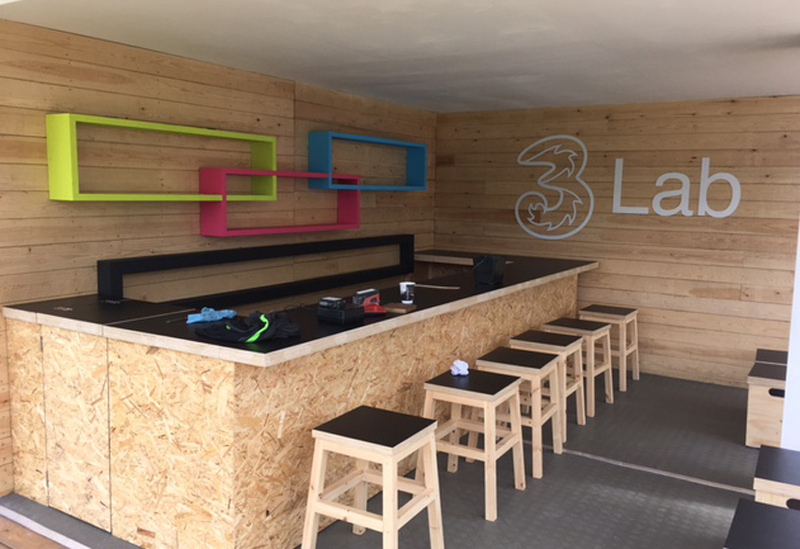 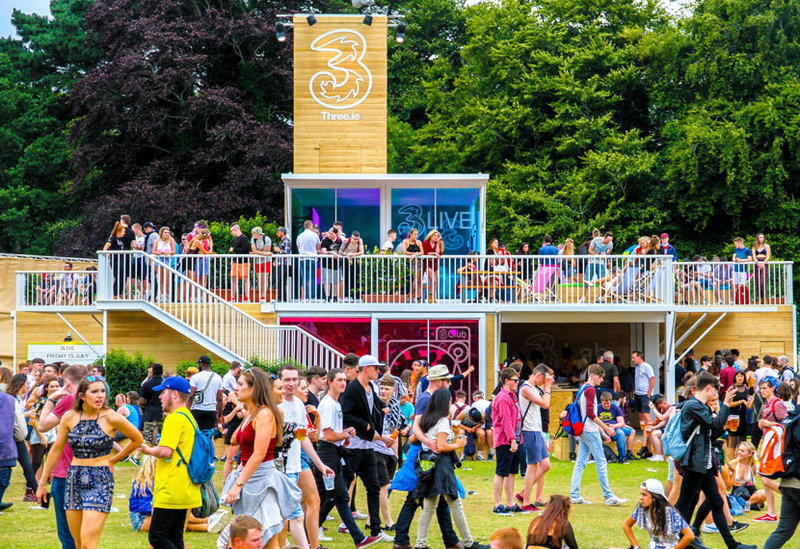 We created this modular, demountable structure for the Irish summer festival circuit. 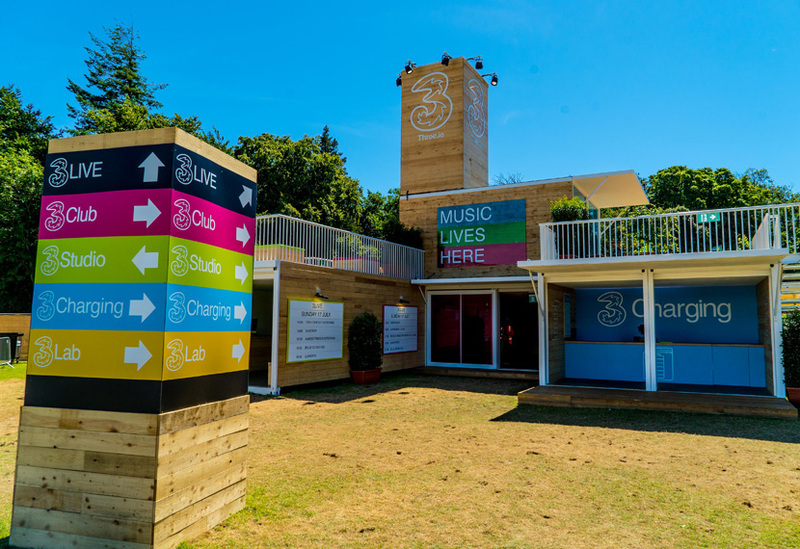 It provided a range of music related facilities and could be scaled up or down depending on the venue. 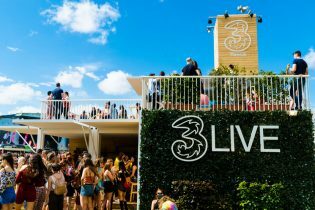 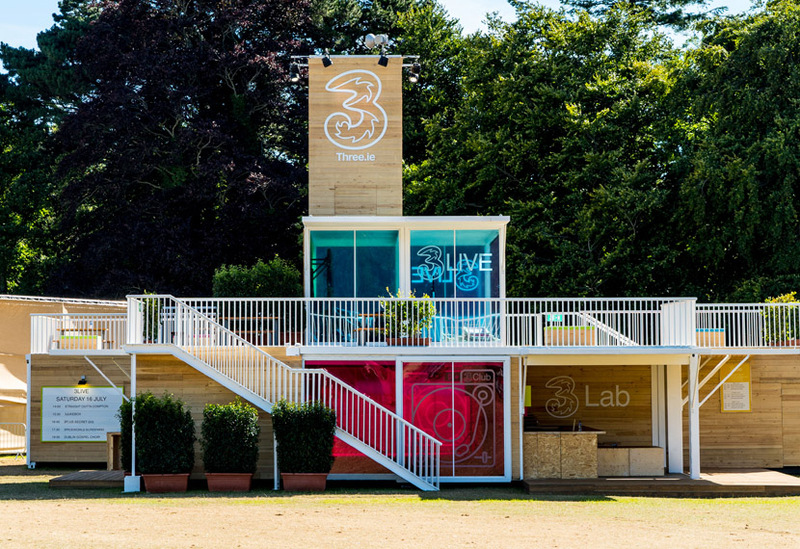 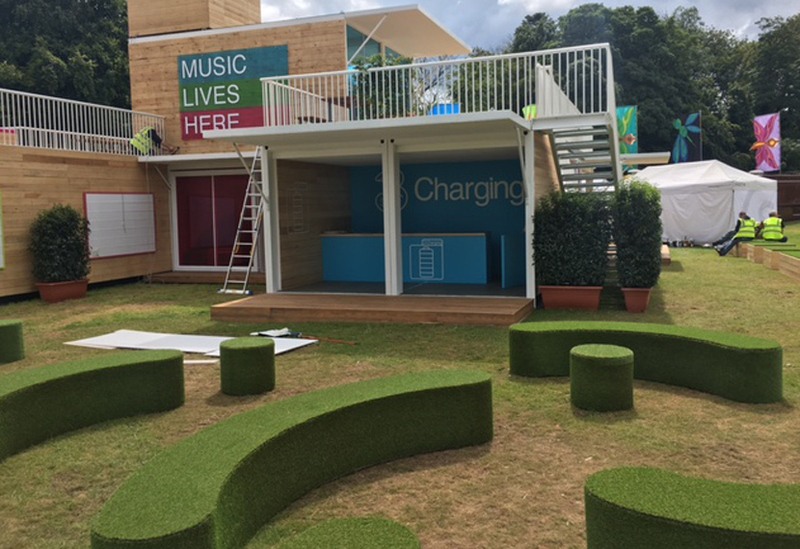 A key aspect of the client’s concept was to raise the bar of festival activations, providing a high-spec and fully branded environment for a range of live music activities. 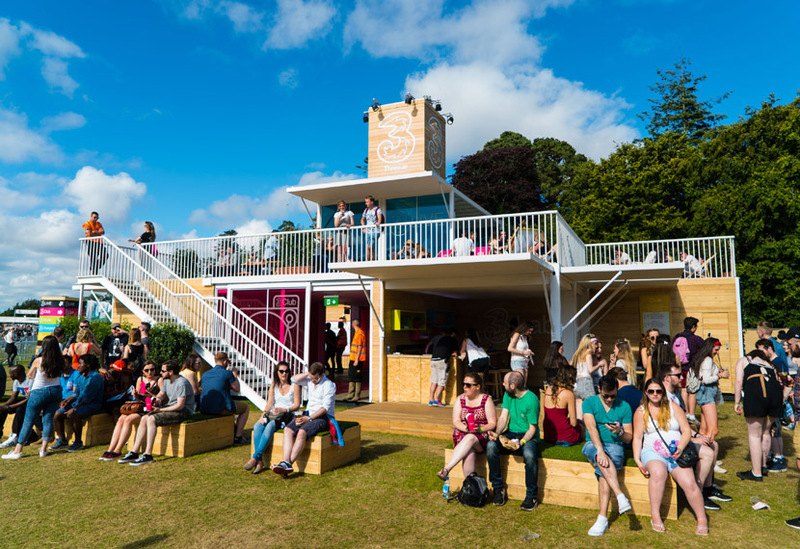 Using shipping containers as the basic structural unit, we undertook the external and internal fit out of the multi-levelled structure which included a roof terrace and timber tower. 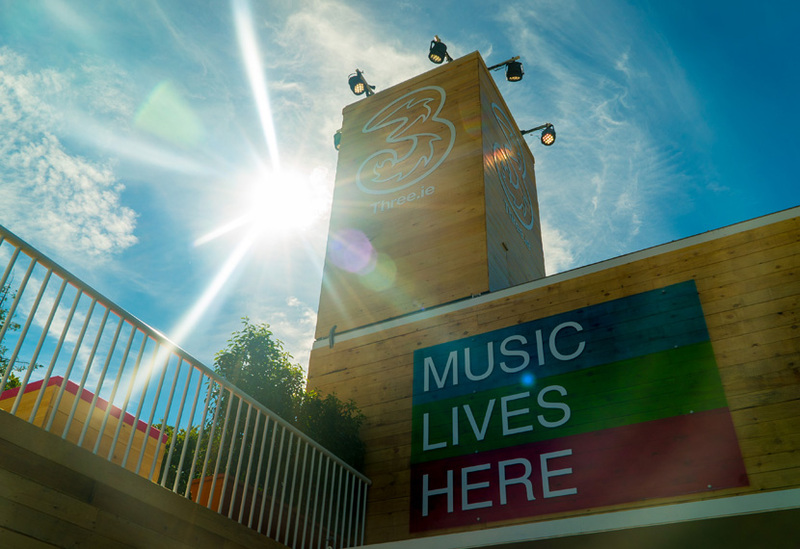 Wide openings were created in the sides of each to allow for the free flow of the festival crowds through the different areas and out onto decking terraces. 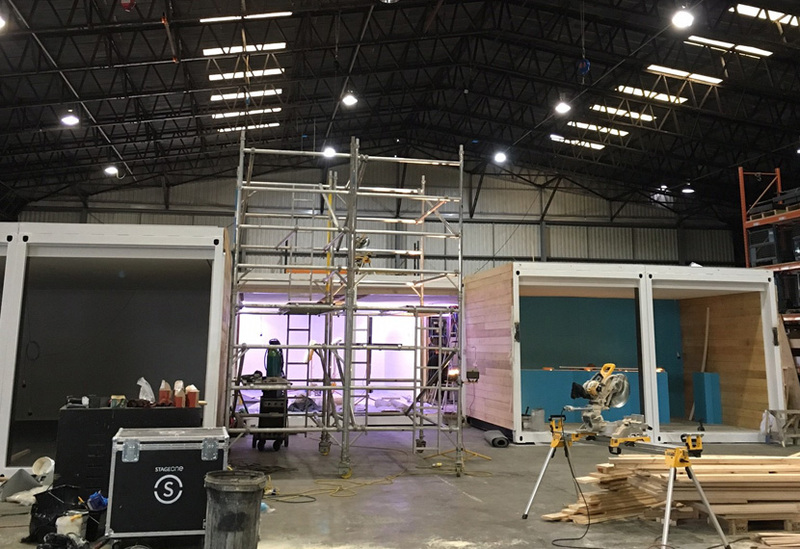 Sliding doors and polycarbonate windows were fitted while externally, the containers were clad with a rustic-looking rough sawn timber. 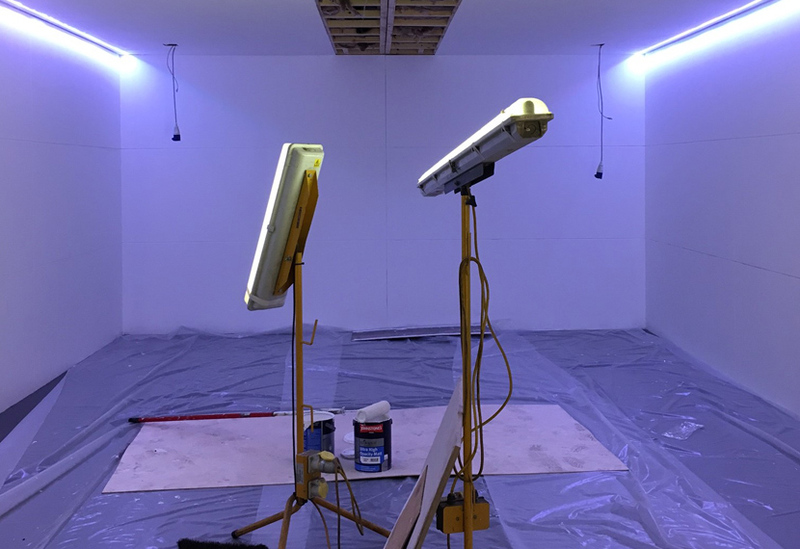 Internally, we provided each container with sound insulation, rubber flooring and a full electrical fit-out. 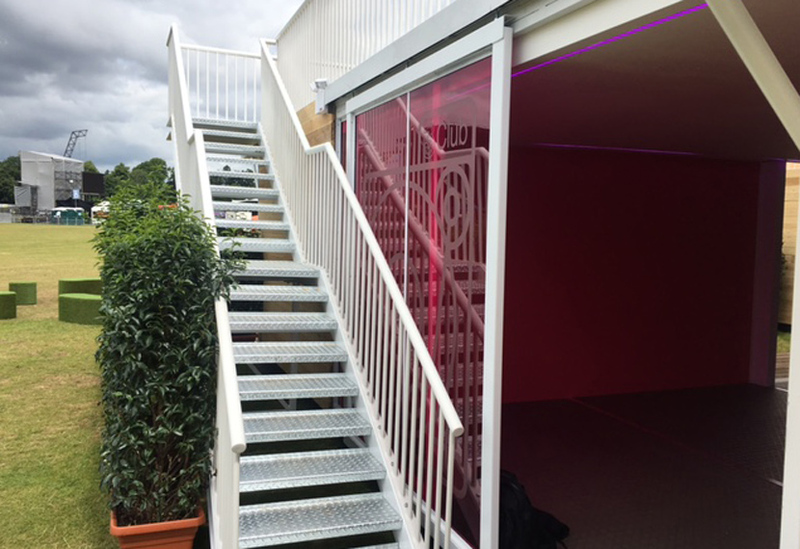 LED’s in blue, green or pink were fitted around the outline of each unit and recessed into the decking. 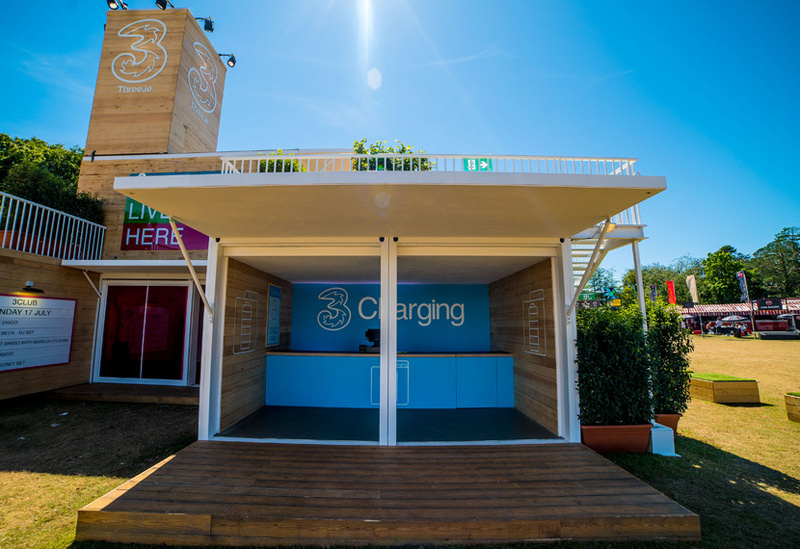 We manufactured a range of steel fixtures and fittings and also branding and signage.